Can't wait until they google your name and see all of your internet history. 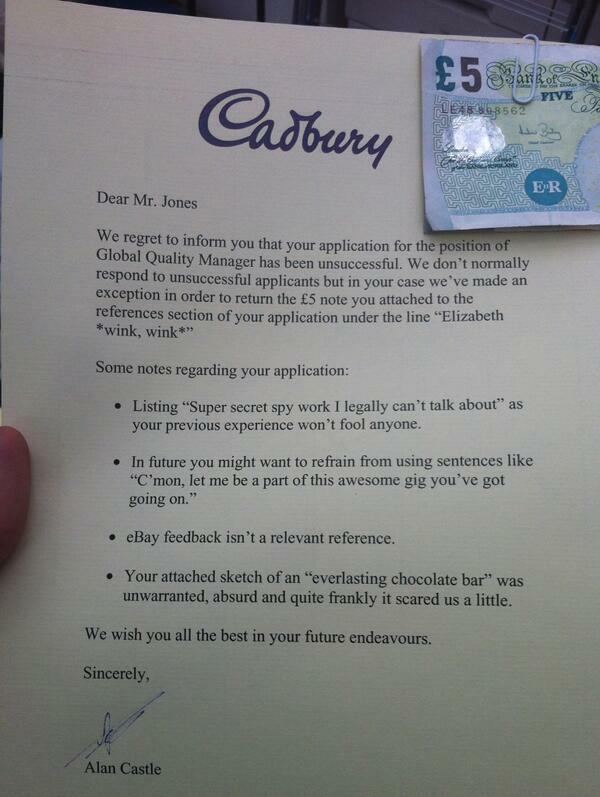 Good luck with that cover letter. But yes, it was such a miserable and ******* useless letter I got the job. Next time I won't do that. H-T would only show up if he signs it with his title, "Oracle of GDD"
If you think the HR person has some sort of intimate connection with the cause and will be vetting over a small number of candidates I could see where a long cover letter could possibly work but in almost all other cases I would call it a no-go. I've seen people with some of the most incredible work histories imaginable fit it all into a single page resume. If you couldn't tell by now, it is completely subjective to the hiring manager, HR has nothing to do with reading for cover letter they couldn't care less. You're not going through a recruiter so thinking that they're going to see it then toss it because it's too long is ridiculous. Imagine yourself sifting through the candidates. If it were me, I would read what they had to say regardless of length. If it were a page of interesting facts and characteristics about their background I would read it. If it was a page of I want this and this and I love your company I would be quicker to dismiss it. Fact of the matter is, of the cover letters I went through today the higher tiered positions had either 3/4 to a page, no bullet points what so ever and their hand signature at the end. I can has job pls? It's all about the content of the letter. For better or worse, I make a point to read every word of every cover letter, resume, etc that comes across my desk. If there is ANY "fluff" whatsoever, it sets the candidate with me on the wrong foot, big time. That being said, I don't care how long it is, if it's 3 pages of relevant, compelling information, I'll read and consider it. Anyone in a hiring position who subscribes to the "right in the garbage" philosophy, who won't read more than 3/4 of a page, regardless of the content, shouldn't be hiring people, as I guarantee there's tremendous human capital slipping through the cracks. I don't use cover letters and I was contacted by all but one of my job prospects last time I was looking for work. I ended up going with Sears because they offered me the lead cashier position at their busiest store in Montana. I also agree with 40 to 60% of a page. I agree with this. Whats the worst that can happen? I don’t need read the cover letter if it’s more than a few sentences. Also don’t read resumes that are long or cluttered. If I’m at all interested in the person I google them. You only need 2 lines to show your wisdom. It’s really a crapshoot. I’ve read all of the “rules” you’re supposed to follow on resumes and cover letters and when I ask people about theirs in the positions I’ve wanted you get answers that are all over the place especially when applying online.